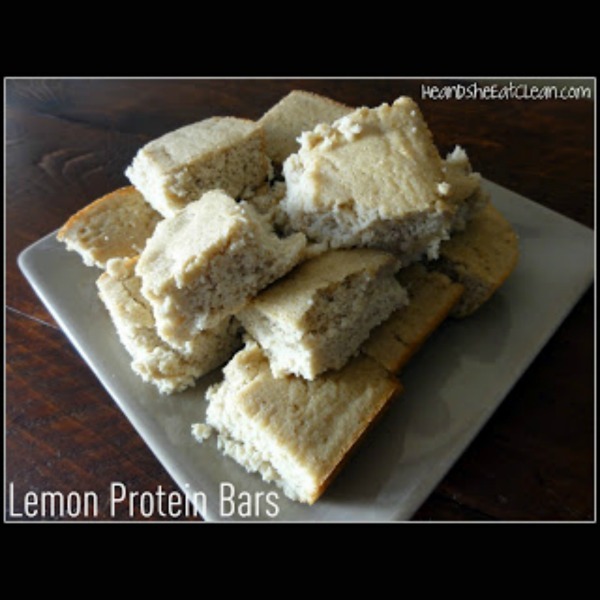 Before I started eating clean my favorite candy was Sour Patch Kids and if you are like me and crave that “sweet & sour” taste…try these protein bars! 4. Combine the ingredients from the small bowl into the large bowl & mix together. 5. Spray an 8X8 dish (I use Pyrex) with non-stick spray & add the batter to the dish. 6. Bake for 25 minutes in the oven. Jamie has suggested to take out half of the applesauce and add fat-free cottage cheese instead. Another variation is to use all quick oats instead of oat flour. Store these in the refrigerator or freezer since they do not have preservatives & will spoil if left out.